Puttaparthi (Andhra Pradesh), April 24 (IANS) — Sai Baba, whom many worshipped as god despite attacks from critics, breathed his last at the Sathya Sai Super-speciality hospital, where he was admitted March 28 with cardiac problems. The spiritual guru’s last rites will be performed Wednesday morning with state honours. Andhra Pradesh has declared four days mourning. “Sri Sathya Sai Baba is no more with us. He left his physical body at 7.40 a.m. April 24, 2011 due to cardio-respiratory failure,” said a statement from the hospital released around 10.30 a.m. The body was shifted from the hospital to Prashanti Nilayam in the evening, where it will be kept till Wednesday for his devotees to pay homage. Thousands of devotees, from commoners to VIPs and celebrities, are making their way to this pilgrim town for a last glimpse of Sai Baba, whose body lies in state at the Sai Kulwant Hall of Prashanti Nilayam, the ashram he founded. The devotees began entering Baba’s ashram around 7 p.m. to pay their last respects. With folded hands, the devotees, mainly VIPs, were seen passing by the body of Baba in Sai Kulwant Hall. Though Baba’s face was covered when Andhra Pradesh Governor E.S.L. Narashiman and Chief Minister N. Kiran Kumar Reddy paid their last respects at the hospital, it was not covered at Prashanti Nilayam. The body was wrapped in saffron-coloured cloth. Prashanti Nilayam, where heads of states and prime ministers used to forego protocol to seek his blessings, will also have the guru’s last rites being performed. Puttaparthi, a small hamlet in Anantapur district, that Baba turned into a town with state-of-the art medical, educational and infrastructure facilities became a wailing town with hundreds of devotees lining up its streets with tears in their eyes as Sai Baba’s body was brought in a convoy of vehicles amid tight security. “I can’t believe that Swamy is no more,” said Sharada Devi, a devotee, her voice choked with emotion. “Today is the saddest day of my life,” said T. Raghav, another devotee trying to control his sobs. The town is getting ready to receive tens of thousands of devotees arriving here from all parts of India and abroad in the next two days. Over 6,000 policemen had already been deployed and additional forces are being rushed to the town. Transport authorities are operating special buses to Puttaparthi from various parts of Andhra Pradesh and Karnataka. Messages of sorrow poured from all quarters of the society, from common devottes to celebrities, corporate heads, film personalities and politicians. Prime Minister Manmohan Singh condoled Baba’s death, saying he was an inspiration to people of all faiths and that his death was an irreparable loss to all. Vice President Hamid Ansari said Baba’s message of service to humanity is of eternal relevance. Sathya Sai centres across India and abroad witnessed gatherings of followers in prayer sessions. Sai Baba, whose real name was Sathyanarayana Raju, was born Nov 23, 1926 at Puttaparthi. In 1940, he claimed he was an avatar of god. The “miracles” he performed captivated his followers while also prompted scathing attacks from critics. Sai Baba later focused his attention to social and charitable works that covered vital areas of ordinary life to many. 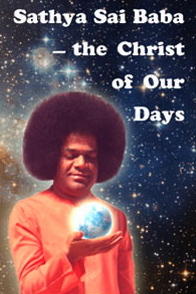 Many websites by devotees promoted the message of Sathya Sai Baba. Sathya Sai Baba was seen as a reincarnation of god by millions, having preached an eclectic blend of Hindu religion since the time he claimed to be an ‘avatar’ at a young age of 14. The many attacks by rationalists on him and what he stood for did not derail the immense following he achieved as he grew from this once obscure hamlet to achieve demi god status in India and abroad. Born Sathyanarayana Raju Nov 23, 1926 in Puttaparthi, his devotees claimed he started singing Sanskrit verses, of which he had no knowledge, one day in March 1940 after being apparently stung by a scorpion. Within two months, the teenager claimed to be a reincarnation of the more famous Shirdi Sai Baba, who had reportedly stated before his death in 1918 that he would reappear in the then Madras Presidency eight years later. In no time, the boy gathered a following as he stepped into the world of spirituality. Word spread that Raju could make objects such as food and sweets materialise out of thin air. 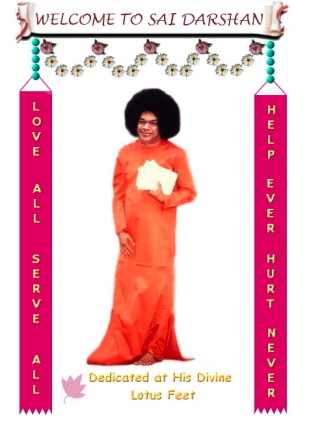 As time went by, and he came to be recognised for his mane and flowing orange robes, the boy transformed into Sathya Sai Baba, frequently producing with a flick of his hand vibhuti (sacred ash) and small objects such as Shiv lings, rings and necklaces. Puttaparthi became his base, eventually transforming the once small village into a lively pilgrimage centre, with its own railway station and air strip. The spiritual guru built a temple in 1944. Four years later he founded Prasanthi Nilayam (Abode of Supreme Peace) at Puttaparthi. He also opened ashrams at Whitefield on Bangalore’s outskirts and at Kodaikanal in Tamil Nadu. He made it a point to tell his followers not to give up their original religion. 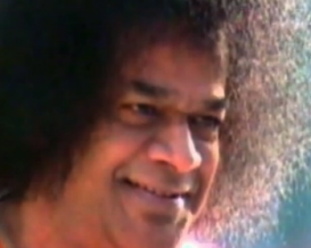 Sathya Sai Baba, however, ran into critics who repeatedly challenged him to make the objects materialise in “controlled conditions” — to prove that he was not indulging in trickery. Many books have been published about Sai Baba: here the cover of one by Dr. Vladimir Antonov (2007). The godman brushed away the attacks, which abated over the years, even as his spiritual empire expanded. Today, his devotees are spread over some 130 countries and number in millions. Simultaneously, Sai Baba plunged into charitable work. His movement began providing free medical treatment, both in Puttaparthi and Bangalore, as well as free education for the poor. Sathya Sai Baba was also credited with unveiling drinking water schemes in drought-prone Anantapur district, where Puttaparthi is located, and to the city of Chennai. Food is sold at hugely subsidized rates at his ashram here – even to those who do not follow him. In 2001, the digital radio network, Radio Sai Global Harmony, was launched to spread Sai Baba’s message of harmony and peace. He acquired a huge following that included political leaders, film stars and industrialists — and millions of ordinary folk. But controversies always dogged Sai Baba. He was accused of sexual abuse. The BBC once produced a documentary that showed him in poor light. Sai Baba remained single. Not much is known about his personal life. The killing of four alleged intruders into Sai Baba’s bedroom by police in 1993 still remains a mystery. From 2005, Sai Baba had been using a wheelchair and his failing health had forced him to make fewer public appearances. Two of his elder sisters, an elder brother and a younger brother have died. Some of the children of his sisters and brothers are today active in the trusts formed by him. Many believe he died a day after he was admitted to the hospital March 28 and that his relatives waited for an auspicious time to make the announcement. 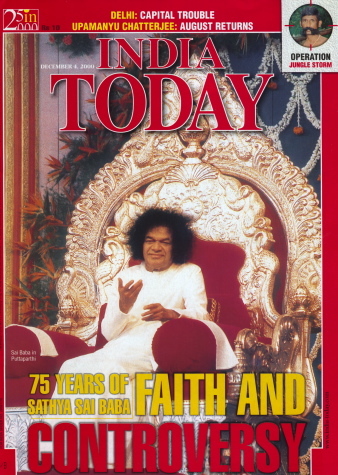 In 2000, at the time of Sathya Sai Baba’s 75th birthday, a cover story in India Today news magazine. The death of spiritual leader Sathya Sai Baba has left a question mark on the future of the Sri Sathya Sai Central Trust (SSSCT), estimated to have assets worth Rs.40,000 crore ($9 billion). As Baba, who was chairperson of the trust, left no successor to the massive empire, his death might trigger a fight for succession among the trust members which include his nephew R.J. Ratnakar. While some eminent devotees of Baba believe that with personalities like former chief justice of India P.N. Bhagvati on the board, the trust will carry on in a smooth manner various charitable work in India and abroad, they also fear the government might take over control in case of any rift among the members. “There is no rift among the trust members but I can’t say this about Baba’s family members,” a retired police officer, who is an ardent devotee of Baba told IANS on condition of anonymity. He said the government might take over if such a situation arises. Ever since Baba was admitted to hospital with multi-organ dysfunction last month, speculation of differences among trust members were doing the rounds. Ratnakar, son of Baba’s brother, reportedly wanted cheque power which is presently with trust member secretary A. Chakravarthi, a retired Indian Administrative Service (IAS) officer, who quit his job on Baba’s advise to join his network. Though not a member of the trust, Satyajit, Baba’s personal caregiver, is allegedly trying to have a greater say in the financial matters as Baba had reportedly promised him last year a key post on the trust. Reports in a section of vernacular media suggest that suitcases full of money and gold were taken out of Prashanti Nilayam, the ashram of Baba. However, some well-known devotees have denied the reports. “Since all the contributions to the trust come in the form of cheques and it does not accept cash, there is no scope for misappropriation of even a single rupee,” said former judge of Andhra Pradesh High Court J. Eswara Prasad. According to Prasad, Bhagvati recently met Prime Minister Manmohan Singh to brief him about the activities of the trust and to clear the air in view of the “rumours”. Sai Baba had formed the trust in 1972 to run the affairs of his massive spiritual empire. It is under SSSCT that dozens of trusts in about 160 countries are running educational institutions, hospitals, drinking water schemes and undertaking various other service activities. Besides Bhagavati, Chakravarthi and Ratnakar, S.V. Giri, a former central vigilance commissioner, Indulal Shah, a chartered accountant-turned entrepreneur and Venu Srinivasan of TVS Motors are members of the trust. Ratnakar was inducted by Baba last year following the death of his father Janakiram. Nobody from the children of Baba’s two other brothers and sisters have any say in the trust. The trust always kept itself away from the media. Not much is known about the donations it receives from India and abroad, which are exempt from tax. Since Baba’s devotees include heads of states and governments, rich businessmen and celebrities. The trust is believed to have received donations running into billions of rupees from across the world. The lack of transparency, however, has given rise to suspicion. Following the recent allegations, Ratnakar had denied any fund diversion. He also stated that all the foreign donations are deposited in a separate bank account as per the norms approved by the union home ministry under the Foreign Contribution Regulation Act, 1976. The trust runs the Sathya Sai University complex, the 220-bed Sri Sathya Sai Institute of Higher Medical Sciences, where Baba breathed his last; a world religion museum; a planetarium; a railway station; a hill-view stadium; a music college; an administrative building; an airport and an indoor sports stadium in Puttaparthi. It also runs a specialty hospital in Bangalore, several other hospitals and dispensaries in the backward district of Anantapur. It also funded several drinking water projects, including one for 731 villages in Anantapur district, and Krishna water supply to Chennai. Trust secretary K. Chakravarthi: A former Indian Administrative Service (IAS) official and the only trust member with cheque signing power. A former district collector of Anantapur, Chakravarthi, who hails from Tamil Nadu, quit the IAS on Baba’s advice and joined him in 1981. Considered an authority on financial matters, he served as the registrar of the Sathya Sai Institute of Higher Learning till 1994, when Baba made him the trust secretary. – S. V. Giri: Former IAS (Indian Administrative Service) official who served as chief vigilance commissioner. He too resigned his job in 1998 to join as the vice chancellor of Sri Sathya Sai University. He was instrumental in building a network of Sai educational institutions. P.N. Bhagwati: A former chief justice of India, he is the most well-known and respectable face of the trust. A staunch devotee of Baba, he joined the trust as its member on Baba’s advice. Indulal Shah: A chartered accountant turned entrepreneur. He is the founder and international advisor of Sri Sathya Sai Seva Organisations and runs the global network of Sai institutions. Venu Srinivasan: The chairman and managing director of TVS Motors heads the Indian chapter of the Sai network of institutions. R.J. Ratnakar: The only family member of Sai Baba on the trust. Baba made his nephew a member in 2010 in place of his father Janakiram, who died in 2005. The 39-year-old runs a cable TV network in Puttaparthi and owns a petrol bunk. Baba’s personal caregiver Satyajit: Though not a member of the trust, he was very close to Baba as his personal caregiver. Last year, Baba is believed to have suggested that Satyajit should become a member of the trust. The 33-year-old, also hailing from Tamil Nadu, has done his MBA from Sathya Sai Institute of Higher Learning. He had joined the Sathya Sai school at the age of five.